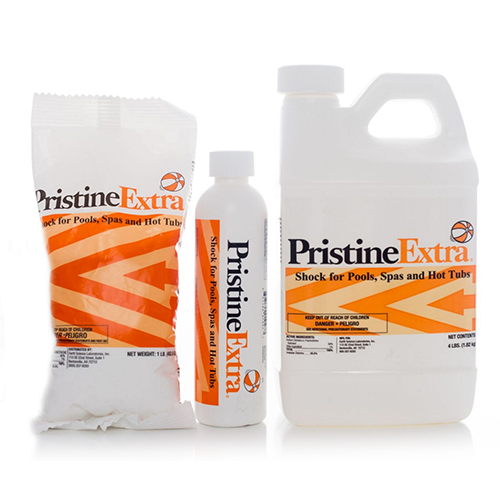 PristineExtra® contains 99% sodium di-chlor (granular chlorine). It is an effective shock treatment that can be used at start-up, routine maintenance or for troubleshooting as needed. It is a primary sanitizer.